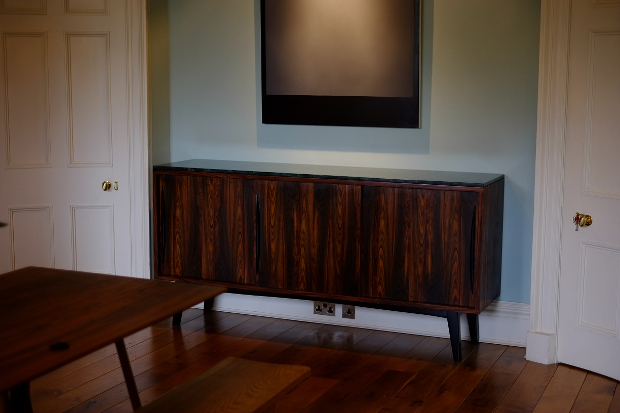 This Rosewood veneered sideboard was designed and made to fit into a dining room in a beautiful Georgian Townhouse in Edinburgh. 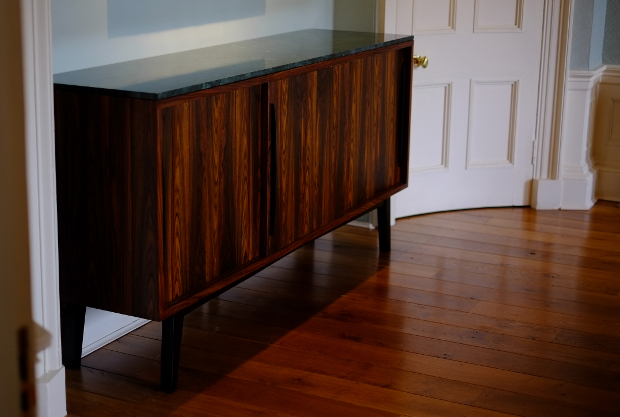 The clients loved the style of mid-century Swedish credenzas and wanted a sideboard which was a modern take on this. 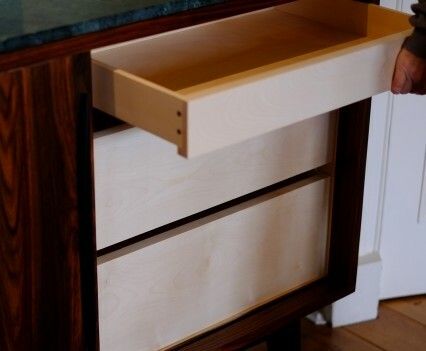 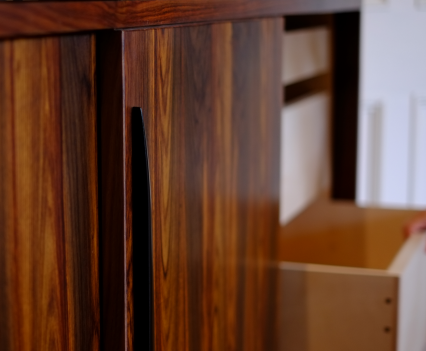 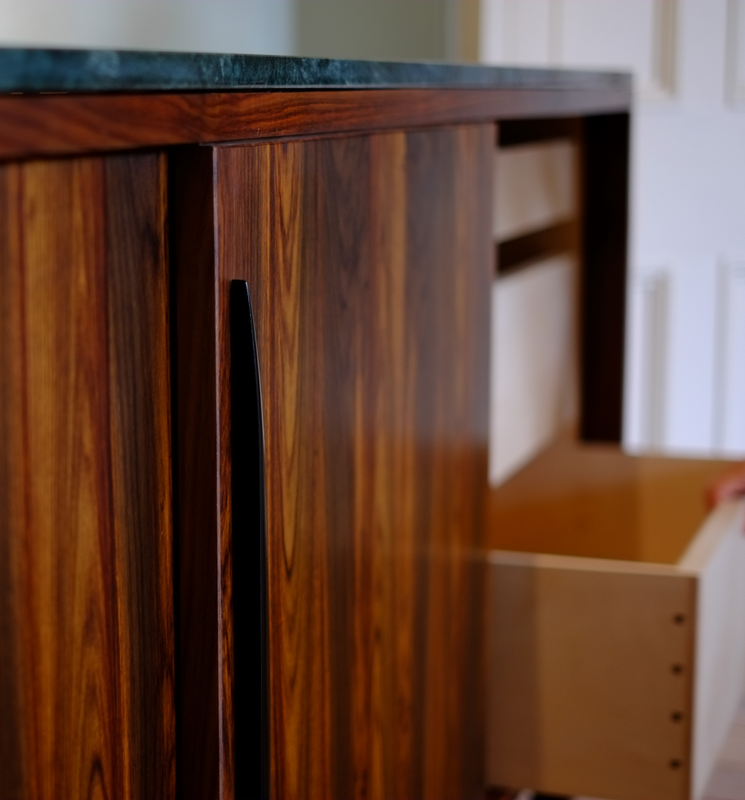 The outside is veneered in Indian Rosewood and the contrasting interior is veneered in Sycamore. 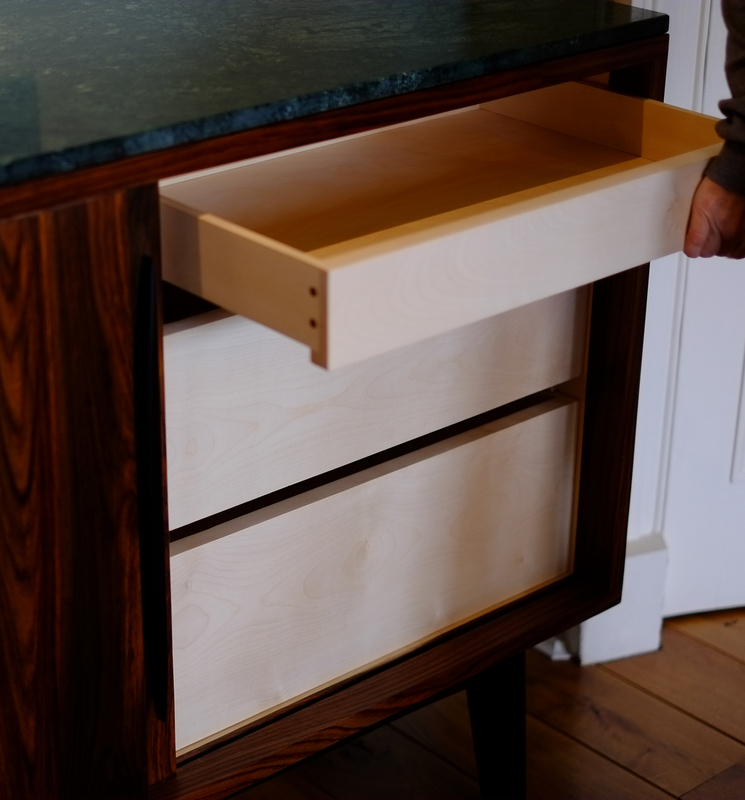 The handles and legs are black lacquered. 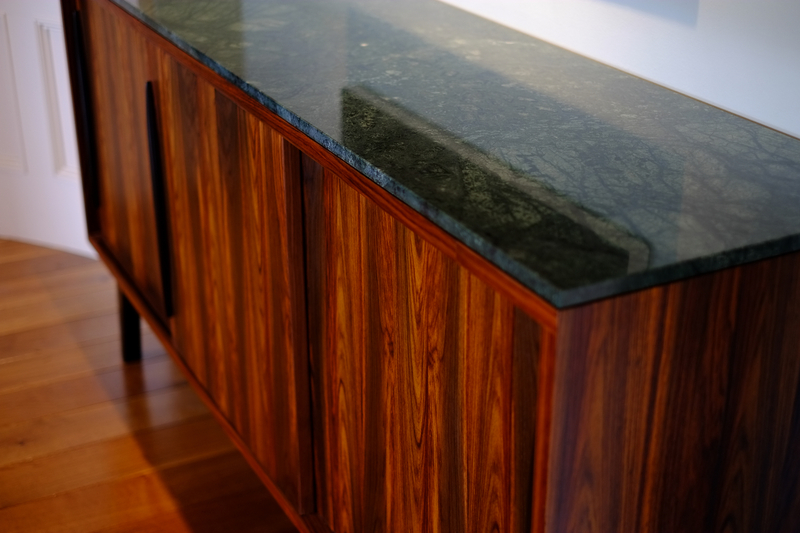 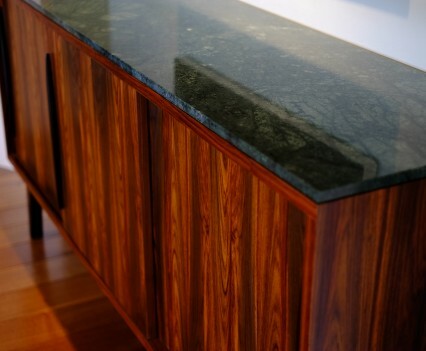 The piece features a beautiful emerald green marble top.